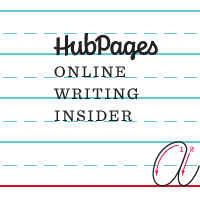 Do you augment your online articles, blog posts, and short fiction with any additional media? In this episode of the Online Writing Insider, Robin and Simone discuss Online Writing and Additional Media: how photos, video, maps, tables, products, and more can be used to augment all sorts of articles- from recipes to fiction. I still don’t understand how to use the tips and ? function… Can you do a video? Can you also include a transcript of these podcasts – I log on to Hubpages during lunch at work and cannot view the podcasts – so a transcript would be really useful! All I know is that Simone chick is awesome! That she is. That she is.